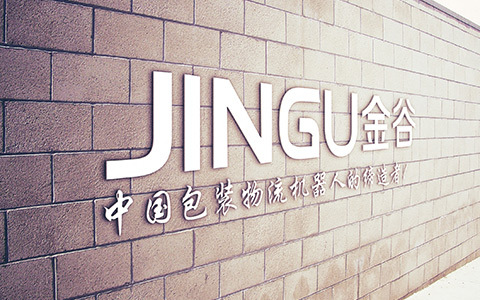 Henan Jingu Industry Development Co Ltd. Established in 1996, Henan Jingu Industry Development Co Ltd. is a research, production and marketing of the Trinity comprehensive joint-stock enterprises which professional engaged in food storage, transportation, grain drying, environmental protection and other engineering general contracting; mechanical and electrical equipment manufacturing; intelligent packaging logistics; biological technology etc. The company is headquartered in Zhengzhou City, Jinshui Road No. 24 Runhua Business Garden A block, the production base is located in Zhao Village Industrial Park, Zhengzhou high tech Development Zone, covers an area of 26680 square meters. A number of wholly owned subsidiaries is under the jurisdiction of Group company. In 20 years, the company uphold the modern enterprise's scientific management mode, Seiko manufacturing, diligence, innovation, rapid rise to become the well-known brands of domestic grain and oil, environmental protection machinery manufacturing industry. The company has the secondary mechanical and electrical installation engineering contractor;the secondary environmental protection engineering professional contracting qualification and the third steel structure engineering contractor. it is the backbone enterprises of national grain and oil, environmental protection industry, high-tech enterprises in Henan Province, the company brings together a large number of High quality management personnel and skilled scientific elites which is long-term engaged in grain oil transport, environmental protection engineering research, as the provincial enterprise technology center, to provide a perfect technical consulting, engineering design, mechanical and electrical equipment and project contracting and other services for the relevant enterprises. Product quality is the lifeblood of the company. The company's products has leaded in passing the ISO9001:2000 international quality system certification in the domestic industry. Technological innovation is the power source of development. The R & D strength and innovation ability of the company is strong. So far, the company has won more than forty national patents. Long-term exchanges and cooperation with other countries ,not only let the products based on the forefront of the industry, but also win broad international market, the product best-selling domestic more than 20 provinces, municipalities and regions, and exported to the united States, India, Indonesia, Malaysia, Thailand, Colombia, and other countries and regions, the vast numbers of users, Enjoy a high reputation in the majority of users. Twenty years of hard work and struggle, We have achieved our purpose of “taking market as guidance, taking technology as motive power, Basing on the good prestige, seeking survival with quality, seeking development with benefit , Dedicated to provide quality services for users ”. we also out of a characteristic way of high-tech products, economic benefits and environmental protection developed sustainably, and made outstanding contributions to the development and prosperity of China's grain and oil industry and environmental protection industry.